Christmas was all about FITNESS this year!!! I am so excited to share my gifts with you all! 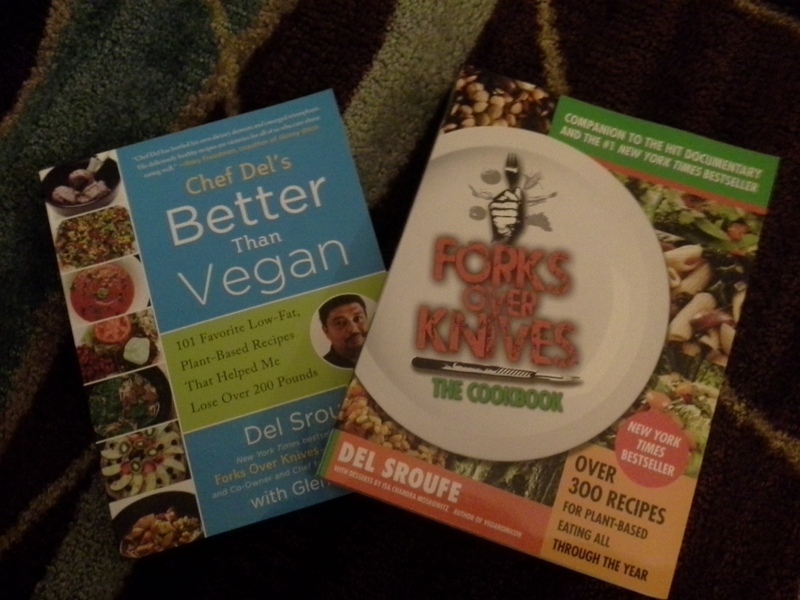 #1 and #2… Cook books! Chef Del is a NY Times bestselling author, whom I have been privileged to learn from at the Wellness Forum here in Columbus. In his cookbooks, Del explains much of the diet and lifestyle taught by the Wellness Forum, and explains the role it has played in his journey from a hefty 475lbs to nearly his optimal body weight, where he is today. While I am still learning a lot about the Wellness Forum’s concepts on a healthy lifestyle, I have been thoroughly impressed with the way they are able to back up their concepts with science. can even join the Forum (even if you are not a Columbus local) for a very reasonable fee. Membership gives you access to additional resources on their site. I haven’t gotten to try any of the recipes from the books yet, but I have had a few of his creations from the Wellness Forum’s food case and meal events, and let me tell you…THEY ARE INCREDIBLE! I am also excited to see how active I am throughout the day. I work a desk job, so most of my day is (or seems) pretty sedentary. I try to get up and walk around every hour or so, but some days we are just far too busy for that. Maybe I need a treadmill desk?? Like this! Hmmm…somehow I don’t think I am going to be able to get my company to foot the bill for that one…now matter how well I can explain the benefits! Shucks. Overall, it was definitely a fantastic Christmas, and I am looking forward to using my new tools to continue to understand in progress in my fitness journey. What tools are you looking forward to using in 2014? Look for FitBit stats on workouts to come! 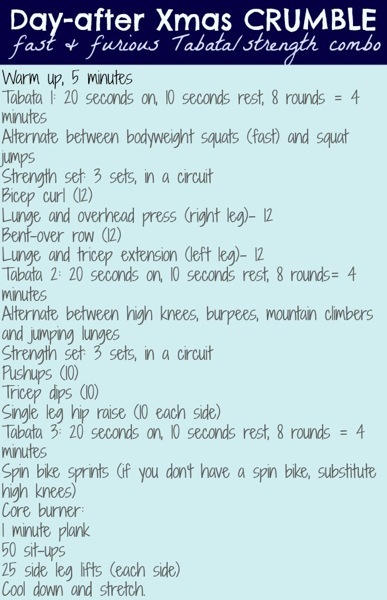 Speaking of workouts, I loved this weekend’s Tabata style workout so much that I decided to do another today! I also brought back the standard bench press into my upper body routine – an exercise I have been wimping out on for a while. Normally, I am not the kind of girl who cares what other people think about the exercises I am doing. I also know my limits pretty well, so I am a decent judge of what I can or cannot do. For some reason, though, I have had a total mental block on the bench press lately! I kept picturing myself going up to press just the bar and dropping it or not being able to get it back up, so I have been avoiding it completely. I am happy to say that, not only did I survive the bench press, but I was able to lift MORE than the bar, and do three sets of 10 reps! Take that, bar! Here is the breakdown from my entire workout today. It was challenging, but not too ridiculously so. Soon, I am going to have to bring running back into my weekly workouts. I signed up to run a 5k Survival Race at the Arnold Fitness Expo! I am excited, but I have a little work to do before I am up to even a 5k again. Stupid shin splints. Over the weekend, I was busy searching for something new – and super quick! – to add to my fitness routine. Between chaos from the holidays, family visiting, and preparing for my trip to Montana (I leave in 4 days! Yikes! ), I have been crazy busy! In all the chaos, I keep reminding myself to take time for myself each day and make sure to get a workout in. It has taken me most of my life to really and truly understand how important it is to take daily time for myself, so I am definitely not backing down on it now! With all the chaos, though, I haven’t had as much time to design my own workouts and fitness routines, so I have turned to the wonderful world of the Blogisphere to do so for me! On Friday, I was in a super huge rush to leave work, get a workout in, and make it downtown to meet up with some out-of-town visitors. I wanted to get in a good workout, do so quickly, and was also craving a new twist on some of my usual routines. I have gotten in the habit of doing exactly 15-21 minutes of HIIT, followed by 35-45 minutes of strength training, and while I include a lot of variety in the exercises that I do, I’ve learned that the more you keep your body guessing, the better your results, so it was about time for a change. Over the past year or so I have heard a lot about Tabata but didn’t really have a clue what it was, and since one of my new-found favorites, Gina of Fitnessista posted this Tabata-style workout, I decided I MUSTTT try it! Tabata is similar to HIIT in that it incorporates short bursts of super-high energy, balls-to-the-wall (so to speak) periods of a particular exercise, followed by a brief period of rest. The biggest difference I’ve noticed so far is that the Tabata-style workout intervals tend to be shorter, and the total set is generally a little shorter, allowing you to repeat or change exercises in each set, as well as pair the cardio bursts with strength training. The rest period in Tabata (by definition) is also shorter than the period of work. In this particular workout, I noticed an interesting phenomenon — though the overall workout time ended up being longer than my typical HIIT session (about 24 minutes, just of the cardio portions! ), I actually worked harder through the entire session! Since the intervals were so much shorter, I think it was a mental game of “Ok, ten more seconds, you can do it! Push it!” which made me push harder the entire time! I highly recommend incorporating some Tabata into your workout regimen – I will definitely be doing more if it in my workouts moving forward! I did modify the Tabata session Gina posted a little bit to better match my fitness goals. Here’s my breakdown. Make it a great Monday! More later. Christmas is over…and I am completely feeling the let-down from the end of all the excitement. Well, that and I am completely exhausted from more nights of staying up late and getting up early than of getting a half-way decent amount of sleep! Does anyone else have a really hard time getting back into the groove of normal life after something you have been looking forward to for a long time? I remember when I was a little kid and we would go to visit my cousins and aunts and uncles, I wouldn’t be myself for a few days after coming home from the trip. I would cry and lock myself in my room. While I am not *quite* as much of a drama queen about it now, I definitely notice that I feel ‘down’ after a big event or occasion. It usually takes me a couple of days to get back to normal. For me, these kind of days are the hardest to make myself work out, but also the workouts that are most important. As someone who has struggled off and on with depression, I know how easy it is to let myself get stuck in that rut of feeling down. Depression is a place that I never, ever want to go again, and I have found that a well-balanced diet and regular exercise are the best tools possible to control my own mental health. Here is the workout I did yesterday afternoon! It incorporates a little cardio burst after each lifting interval to keep the heart rate up. The HIIT portion is only 10-minutes, and was a lot lighter than normal, so push yourself! This getting ready for Christmas stuff is CRAZZZZZYYYY! I was up super late last night writing Christmas cards for my team at work, getting recipes together, and wrapping presents. Then, after work and my workout today I spent about 5 hours cooking for Christmas dinner on Wednesday. I just volunteered to cook yesterday….so I had a lot to do! I am definitely worn out. Can you even believe it is Christmas Eve already?!!??! I totally can’t! And I can’t believe I am leaving for Montana in a little over a week! My mom and I have set up a temporary gym membership for the week that we are there. With all of the hiking, snowboarding, and adventures I am planning, I don’t know that I will even need it, but it is definitely good to have the ability to keep up with my normal workouts while I am there. Well, time to get the Christmas-ing started! Here is my workout from today. I will most likely take the day off tomorrow, but a PopPilates video or a short yoga session might be necessary to get over excessive food comas! Merry Christmas to all those who celebrate it! Really, it’s just the workout that I slacked on posting on Friday! This was my workout on Friday evening! Hey, all! I hope that you are all ready for the holidays! Do you have any big plans for New Years? I usually like to host some kind of a shin-dig (I really just enjoy making fancy drinks and NOT driving! ), but this year I don’t really have any plans. This year I didn’t decide to host a party soon enough — people apparently make New Year’s plans in like November! I wasn’t really sure what I wanted to do since I am leaving to visit my sister in Montana on the 3rd. I figured I would already be stressing to get all packed and ready for my flight by New Years, so I kept going back and forth about it. So, what are your workout plans for the holiday week?? I keep telling myself that I am going to work out every day this week, but I am also trying to be realistic — I volunteered to cook Christmas dinner for my parents (They are leaving to visit my sister the day after Christmas, so it seemed more realistic! 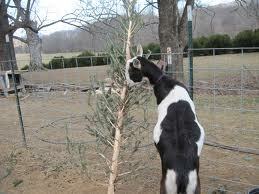 ), so I am twice as far behind for the holidays as I thought I was three days ago. AHHH!!! I also still need to put together gifts for my staff…that’s probably what I should be doing right now instead of typing on my blog…Hopefully the team will understand! Anyway, here is my work out from today! I ended up being a lot longer than I had originally planned. Something about the stress of the grocery store and the knowledge that I would probably miss at least ONE workout this week made me really want to push it hard tonight! I am planning on hitting the gym tomorrow after work before the Christmas festivities start, but Christmas day is still up in the air. I am hoping to get at least a 20-30 minute workout it — but I am also a realist — it will probably be a more cookie-focused day! Here is the workout I completed today! I will also be adding a bonus (ok, make-up!) post for my workout on Friday. Saturday was a Yoga day (I used Melissa Bender’s 20-minute yoga routine), and I took a break on Sunday. I tend to get shin splints pretty easily, and after Wednesday’s boxing/lifting/running extravaganza, I was feeling pretty sensitive. Yesterday, I decided to take advantage of a Groupon purchase I made a few months ago and finally visited Title Boxing Club! I braved the wee hours of the morning and hit the 6AM boxing class. It was a challenging and exhilarating workout – I honestly didn’t expect to be pushed so hard! More on that later (I am working on a full review of the experience). After boxing, I went to work, and then hit the gym for my normal lifting session (minus the cardio work, since I spent an hour on that in the morning). By the end of the day, I was completely exhausted and decided to head to bed instead of getting my workout posted. After two days in a row of upper body, plus an intense boxing session, my upper body was completely dead. I decided to work lower body today. I designed a workout that I intended to be challenging, but a little lower scale then normal. Well, perhaps I misjudged how exhausted I really am because this one was definitely a challenge! 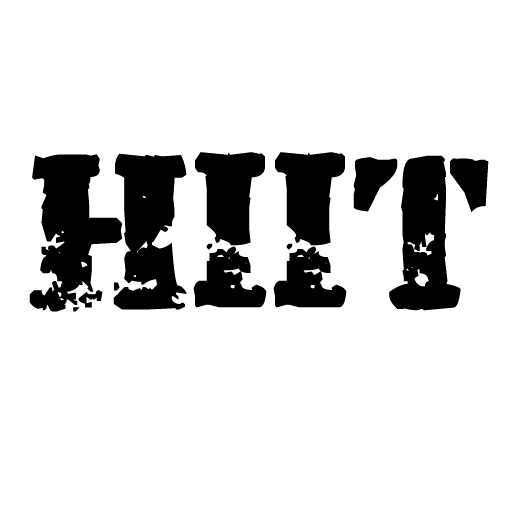 Today, I designed my own HIIT workout!!! I didn’t borrow this one from any of the other amazing bloggers out there…it is 100% me! Well, mostly…I didn’t make up any craaaazzzzzyyyy new moves yet or anything! #thingstocome (?!). It wasn’t as intense as some of the other workouts I have done this week, but I will still covered in sweat with jello-y arms by the time I finished! Let me know what you think of this one! There will definitely be more @WaterCoolerWellness originals to come! I was still feeling really exhilarated from completing my first ‘original’ workout when I got home today, so I decided to do a Pop Pilates video too! Cassey’s Bodacious Back workout completely finished off my arms and back for the night! I am *definitely* going to be sore tomorrow! Tomorrow I am planning to get up EARLY to take a kick boxing class at Title Boxing Club. I have never been before, and I am SOOO not a morning person! But…I am looking forward to throwing a different ‘punch’ into my fitness routine! I will be sure to post a review sometime tomorrow after I finish the class! Ok, so I slacked off, swollen-faced for most of the weekend. I told you…me and the dentist don’t get along! I literally slept on the couch and watched “Criminal Minds” for the rest of the day after my appointment on Friday. I was so miserable! I don’t even know that it was so much pain, as anxiety and being worn out…and completely detesting the feeling of having half of my face numb. I was able to get a quick @blogilates workout in on Saturday afternoon after Christmas tree shopping, so I guess I was only a 50% slacker this weekend (since I didn’t post it!). Well, since I took it easy this weekend, I had to hit the gym with a vengeance today! My legs were definitely shaking for an hour or so after I left the gym. I will be anxious to see how sore I am tomorrow! Anyway, here’s what I did today. Let me know how it goes for you! Did you make it through the cardio? I definitely paused my timer once or twice during the workout session! Some days you are on, some days you are off. Today’s workout went so much smoother than I ever would have guessed! I have been trying to amp up my lifting and keep my cardio challenging, but reasonable. Today’s workout left my legg-ies quivering, but I made it through and felt GREAT at the end! Tip to keep your workout moving, but still give you a little rest between sets : Drop into plank!! One of the things I picked up from Blogilates is ‘RIP’ or ‘Rest in Plank!’ I’ve learned to incorporate that movement into more and more of my workouts. It genuinely gives you a minute or so to catch your breath, but keeps those muscles working!!! So, I’m not really sure how I am going to get a workout in tomorrow. I have a dentist appointment to replace a filling at noon, and I am typically pretty much down and out after they work on my teeth. I get really nervous every time I go to the dentist, and that takes so much energy out of me! Never mind that I completely hate the feeling of the anesthetic. Does anyone else totally hate going to the dentist? Maybe I will try to wake up early and get a morning workout in…though anyone who knows me also knows that I am about the furthest thing EVER from a morning person! Regardless, I will be sure to give you some puffy-faced fitness love tomorrow!